Mahonia is a genus of about 70 species of evergreen shrubs in the family Berberidaceae, native to eastern Asia, the Himalaya, North America and Central America. 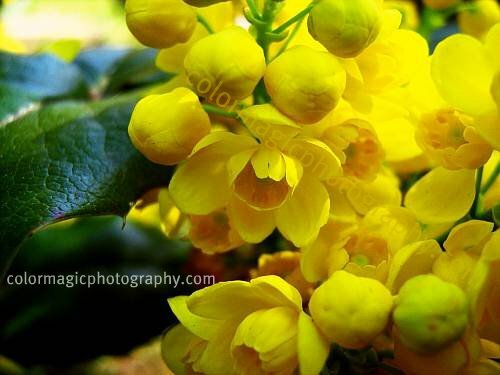 Several species like Mahonia aquifolium - Oregon-grape and Creeping mahonia - Mahonia repens are popular garden shrubs, used in landscaping for their ornamental evergreen foliage, resembling holly. They have clusters of fragrant, yellow flowers in spring, followed by small clusters of grape-like, dark bluish-purple berries in late summer and autumn. Their stiff, spine-tipped leaves turn a rich bronze purple in late fall through the winter. 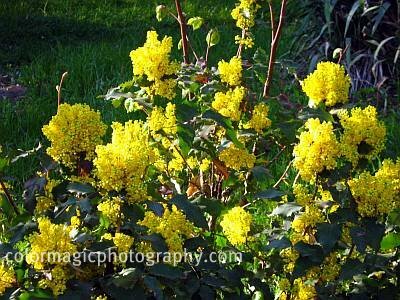 Oregon-grape-Mahonia aquifolium is a taller shrub, it grows it grows about 3 - 4 feet (1-1.5 m) tall or even taller. 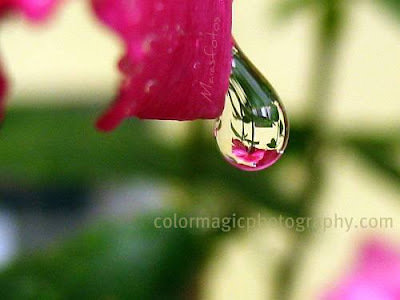 "Aquifolium" means that the leaf is holly-like (from the Roman name for holly, aquifolium). Creeping mahonia, Mahonia repens grows only 12-15" (30-40cm) high and it spreads slowly to make an attractive evergreen ground cover. 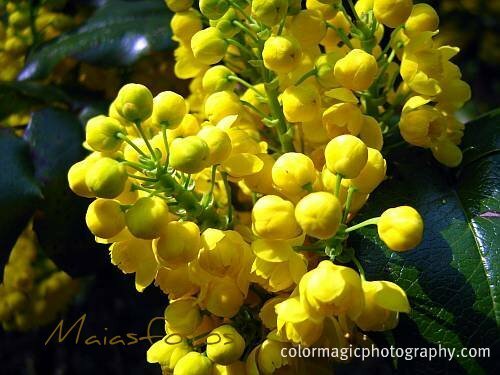 Mahonia plant contains substances having a beneficial effect on the digestive tract. They stimulate the flow of bile, which loosens the stools and helps prevent and sometimes relieves constipation, diverticulosis, gallbladder disease, and hemorrhoids. 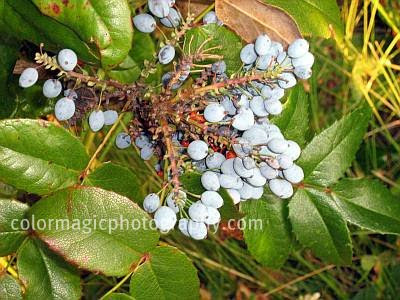 Oregon grape is supposed to have also antibiotic and anticancer properties.